Amid U.S. election madness, the Federal Reserve will decide on Wednesday whether to raise its key interest rate. It's highly unlikely -- though still possible -- that the Fed will do a rate hike Wednesday. Here are 4 reasons why it probably won't raise rates. Fed Chair Janet Yellen has said a million times that the central bank's decisions on its key interest rate are not influenced by politics. However, Fed watchers -- from Wall Street to academia -- believe the Fed doesn't want to even create the appearance of trying to influence the election. A rate hike would risk serious criticism from Donald Trump, who has already heavily criticized Yellen for keeping rates low to help President Obama. That claim has been rebuked by a range of economists who believe the Fed is acting independently. The last thing the Fed wants is crazy, volatile stock markets. And the key ingredient for that to happen is a major surprise or lots of uncertainty. Wall Street is placing a 7% chance of a rate hike on Wednesday, according to CME Group. It would come as a complete shocker and risk a market plunge. And volatile markets could then lead the Fed to push back any future hikes. Plus, investors are already on edge over the U.S. election. A rate hike would only add more dynamite. Wednesday's Fed meeting does not have a scheduled press conference at the end. That's very important. It's an unspoken rule that the Fed would prefer to raise rates at a meeting that includes a press conference so that Yellen can explain the Fed's decision, thinking and reasoning. The idea is that clear communication would soothe markets and reduce uncertainty. Fed leaders convene eight times a year, and Yellen holds a press conference at four of them -- March, June, September and December. 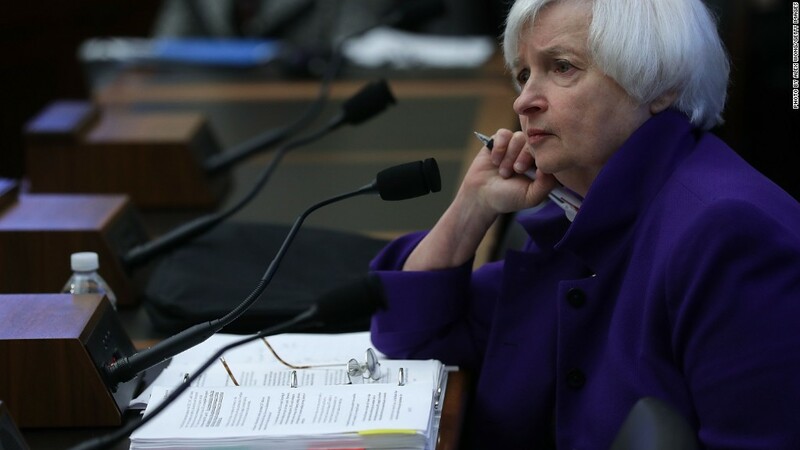 She does say that the Fed could raise rates at any meeting regardless of the press conference. Still, it's widely believed it would be her preference to raise rates and have a scheduled press conference afterward. Nearly 70% of investors are calling for a December rate hike. On top of meeting expectations, December could be ideal for a few reasons: (1) there's a press conference, (2) it's six weeks after the election and (3) the Fed can wait a little longer to see how the economy performs this fall. But December is also somewhat of a deadline. Fed leaders even debated at their meeting in September that if they didn't raise rates soon, they would risk endangering the Fed's credibility, which has been under the gun for months. The Fed originally said it would raise rates four times this year, but that's been dialed back to one rate hike. December would be the last opportunity for the Fed to raise rates and reaffirm its credibility...unless it shocks everyone on Wednesday with a rate hike.